Except for it wasn’t. 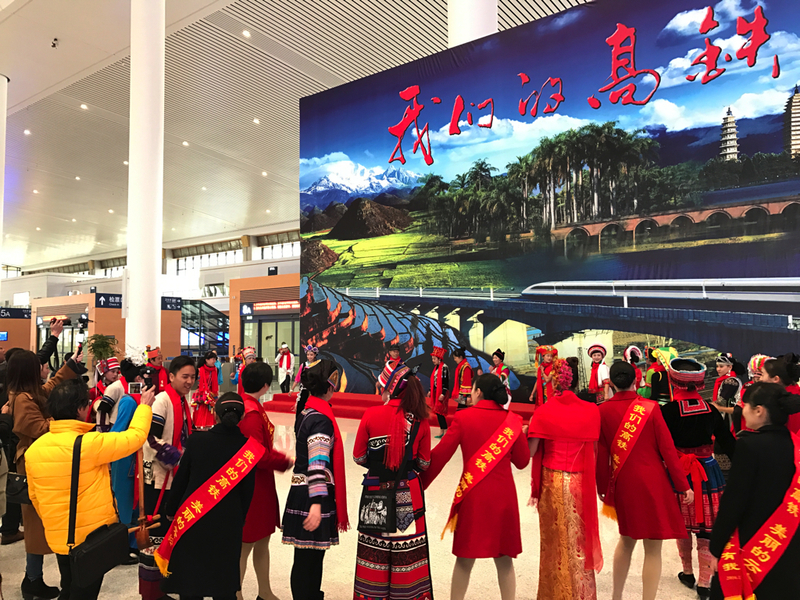 In addition to getting the new HSR to Guiyang and Shanghai opened, there were two other express routes opened today — a new line to Guangxi (terminating ultimately in Nanning) and a short sprinter service to Yuxi. I’ll have to try both of these another day. Still, off we were to the trains. 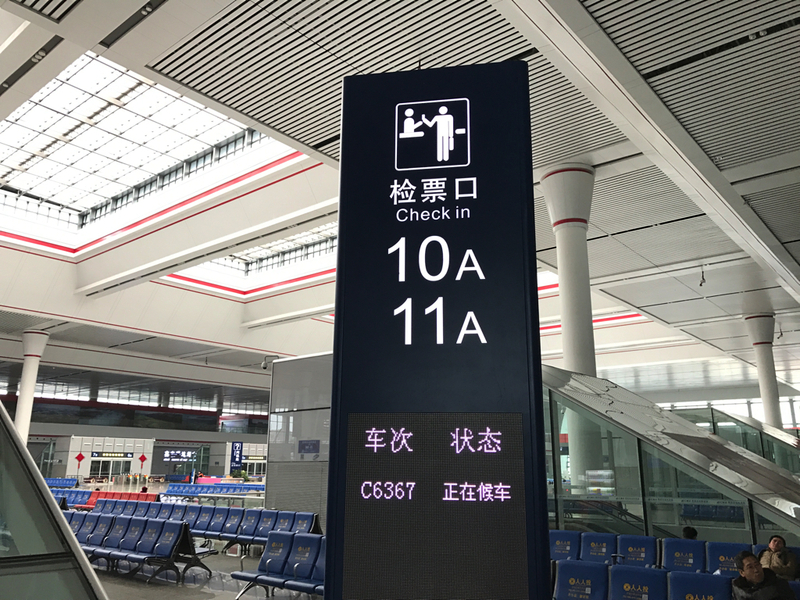 But first, we actually got a few public beta trials the previous day — including a stopover at Panzhou, which was actually managed by Chengdu Rail and was located in Guizhou. 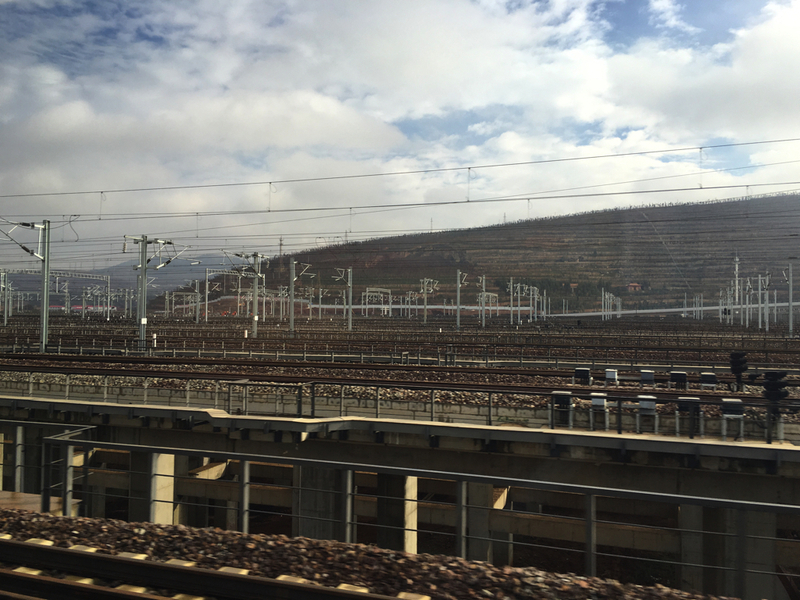 My favourite design element at Panzhou? Those “mini-houses” passengers use to leave the station. Unfortunately I didn’t get to use them, as our “public beta train” would be here only for a short while. But it was surely something I liked quite a bit. 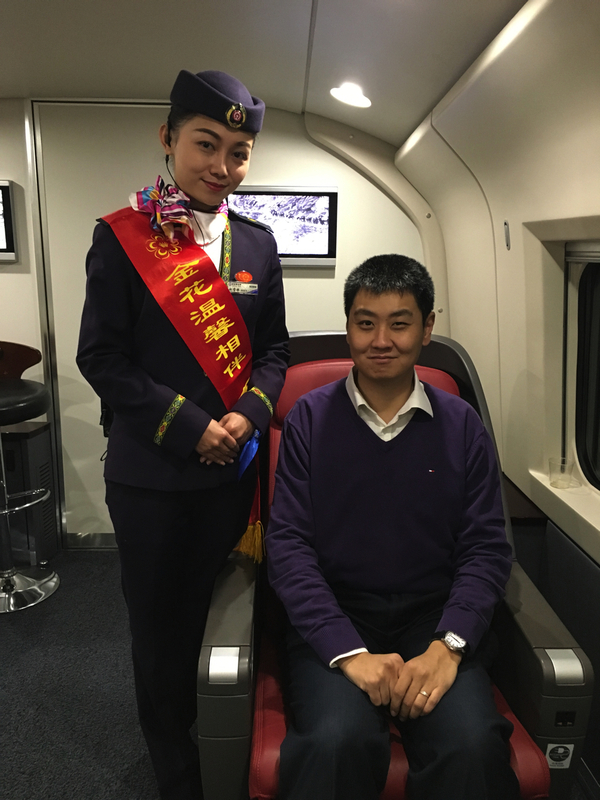 And of course, on the trip back, I did get to check out Business Class. In future, you’ll see me there quite a bit. The member of staff on the left, though, will be very busy once the new line enters service: one of these trains alone can carry over 500 passengers across three classes of travel. 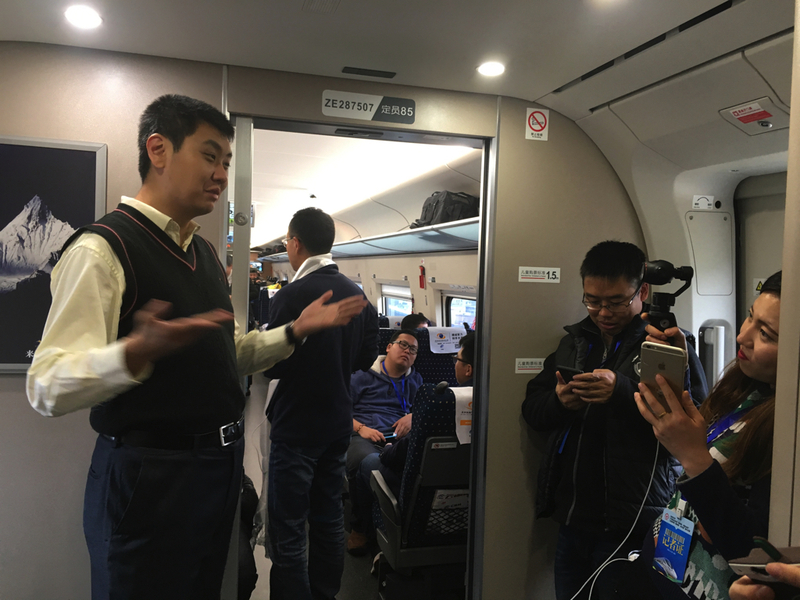 When it came to meeting other rail people, as in rail fan people this time out to Kunming, they were all about the tickets. And I was all about the globalisation of the collection. 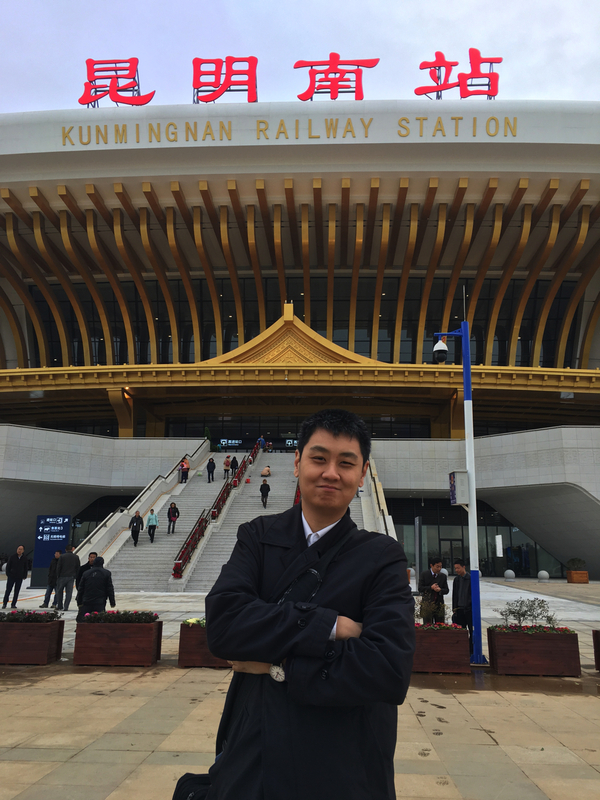 Taiwan High Speed Rail. 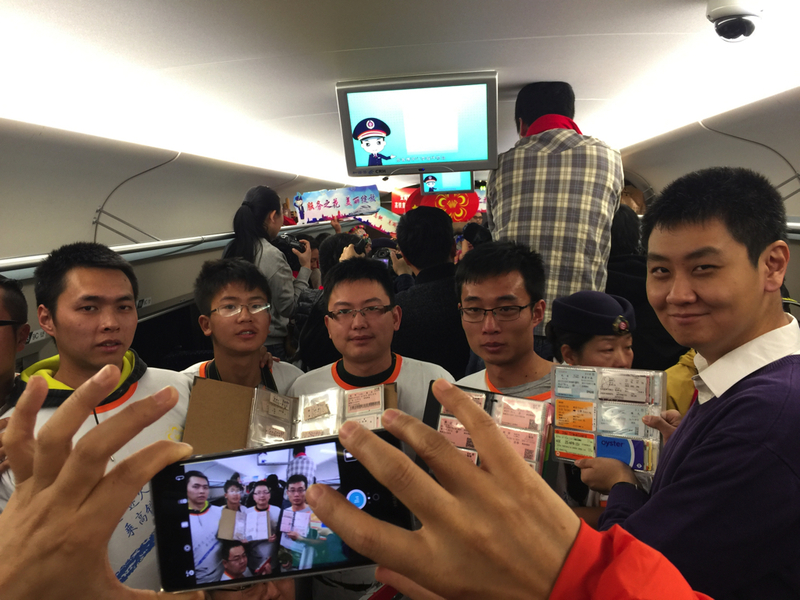 Hong Kong MTR Intercity tickets. London’s Oyster Card. The National Rail tickets seen across Britain. You really can’t make this stuff up. 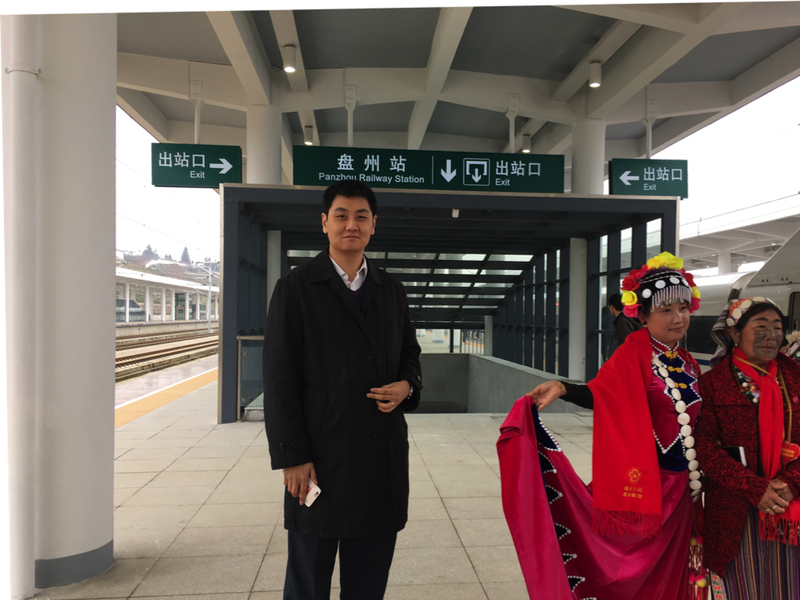 Kunming Rail, who manages the Yunnan part of the new bit of the line, was super serious about the new line. 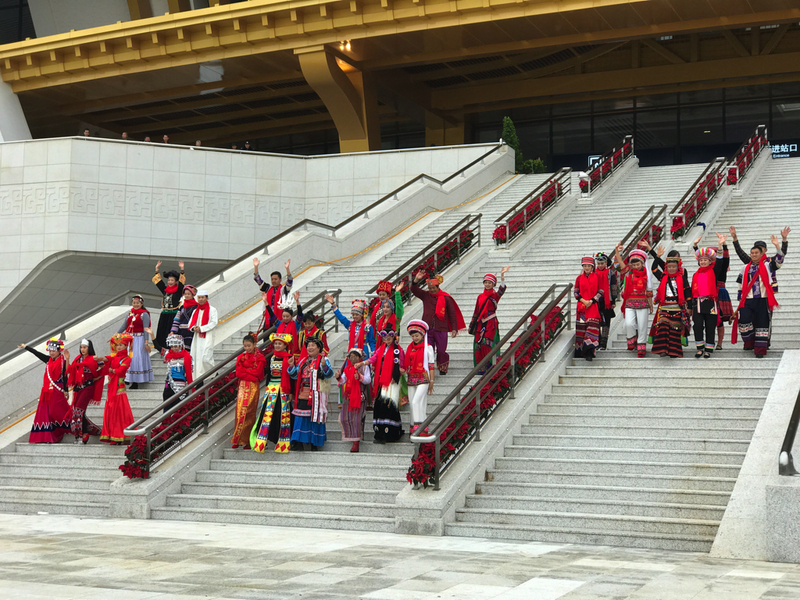 Some parts of Yunnan are home to a particular ethnic group (or groups). 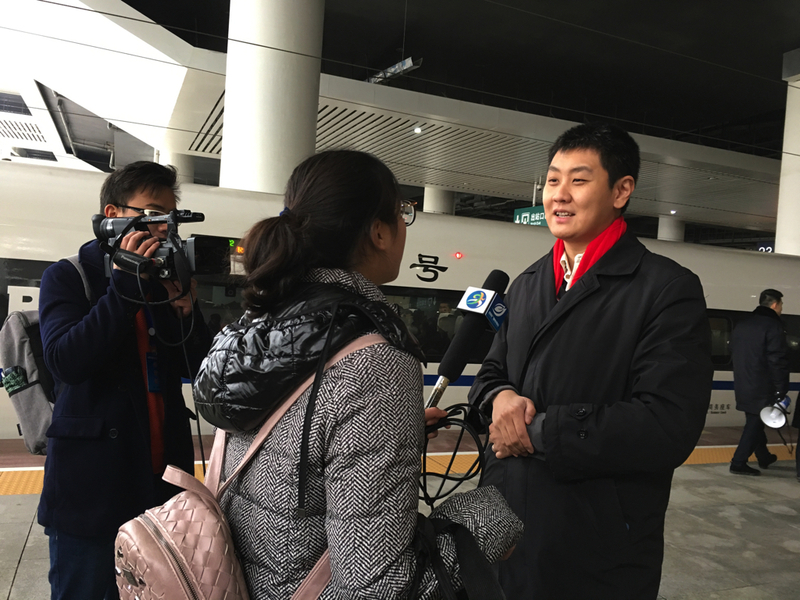 The new high speed train making a stop at these stations must be news of epic proportions to these people, some whom might have never travelled by rail before. This must have been the fastest and the most amazing gift to come straight from the heavens above: a station on one of the world’s fastest railway lines. And all new! And of course, something else about this line was how it was designed, in terms of the speed permissible. Previously, I read on the Web that top speed would be no faster than 250 km/h, or 157 mph. That’d have been too bad. 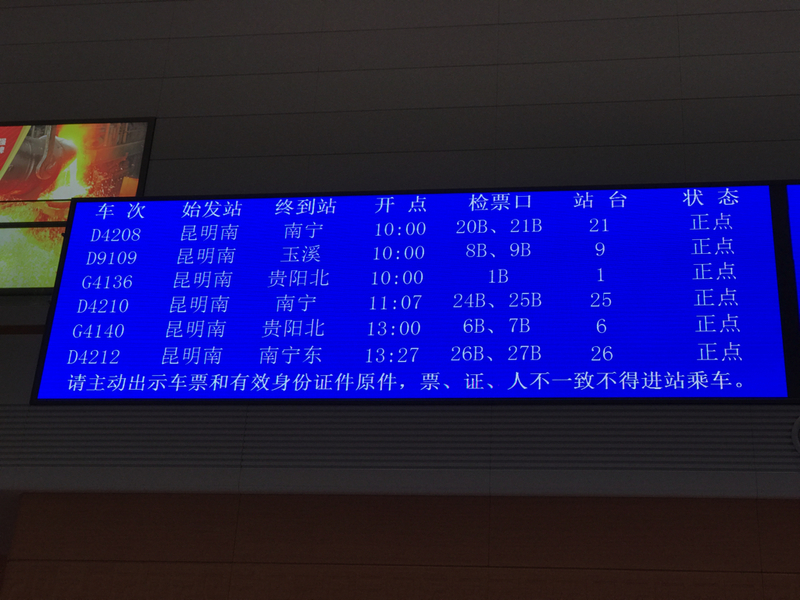 Fortunately, our train went up to 300 km/h, or 186. And if they decide to run 350 km/h or 217 mph trains one day, I wouldn’t be too surprised — in fact, I’d be very much looking forward to that day! 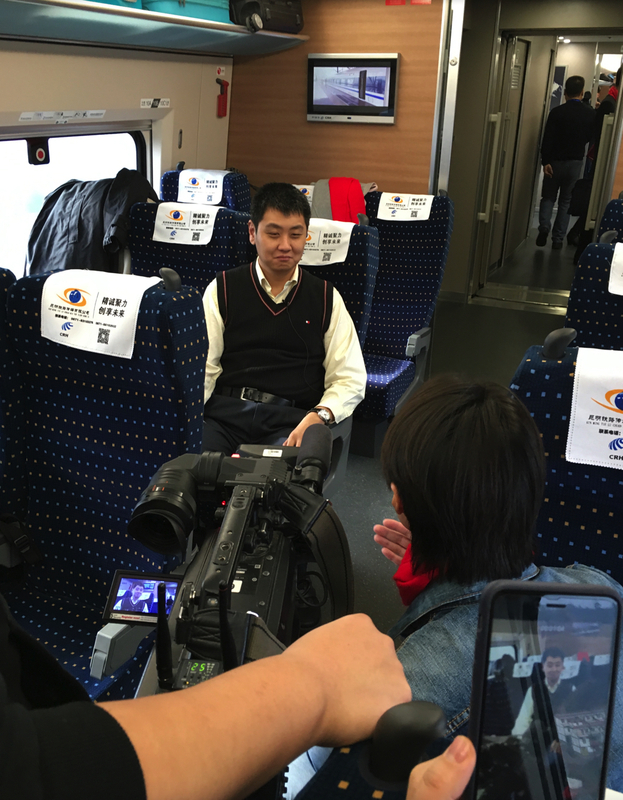 The French-speaking channel at China Central Television decided to interview me — in French! 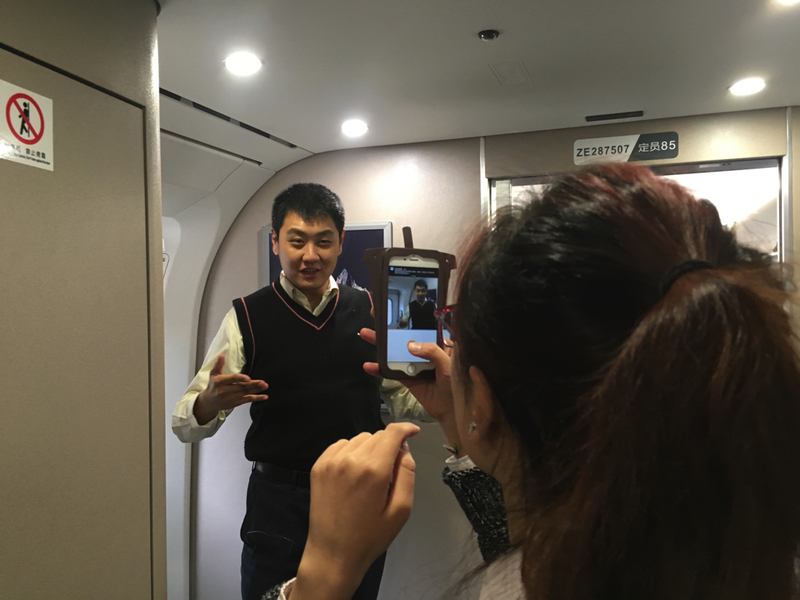 — this being the third language I’ve talked about trains in. De parler devant la micro en français — ça, c’est certainement quelque chose, ça!